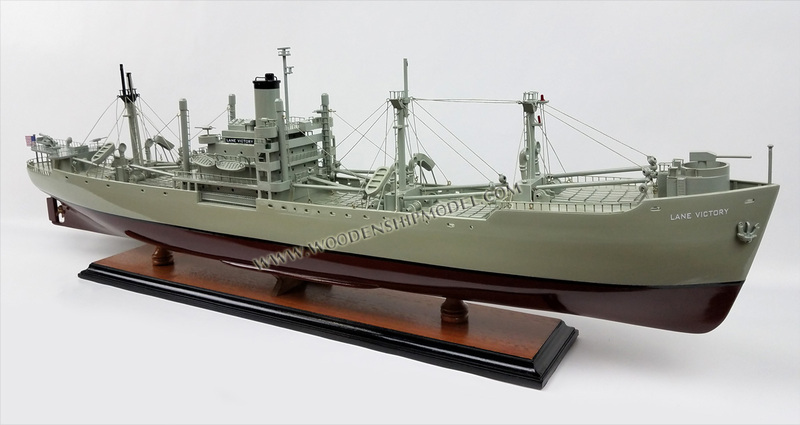 SS Lane Victory is an American Victory-class cargo ship used in World War II, the Korean War and Vietnam War. The ship was preserved in 1989 to serve as a museum ship in the San Pedro area of Los Angeles, California. As a rare surviving Victory ship, she was designated a U.S. National Historic Landmark. SS Lane Victory was named after Lane College, which was established as a high school for black youths in 1882 at Jackson, Tennessee by Isaac Lane, a bishop of the Colored Methodist Episcopal Church in America. The school grew into a prominent liberal arts college. Lane Victory was built in Los Angeles by the California Shipbuilding Corporation and launched on May 31, 1945. 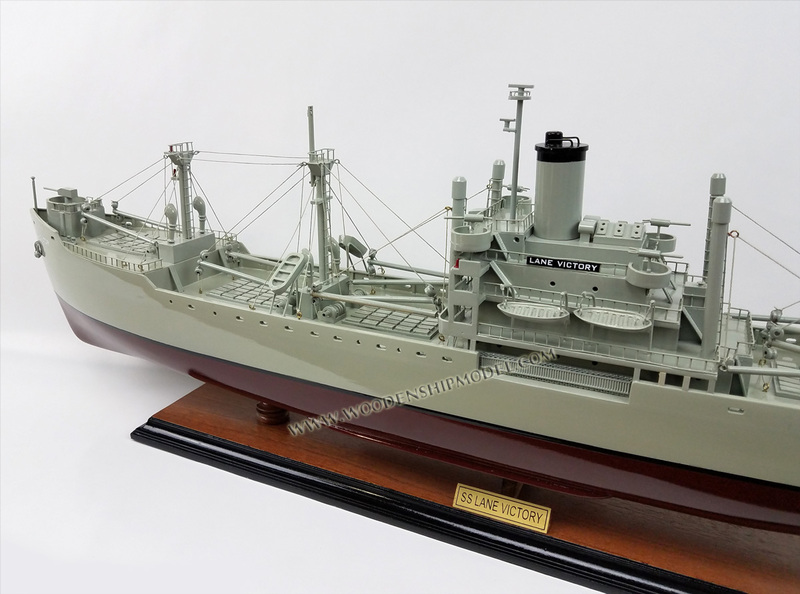 On her first voyage, June 27, 1945, Lane Victory carried war supplies in the Pacific. The War Shipping Administration gave the operations of the ship to the American President Lines. 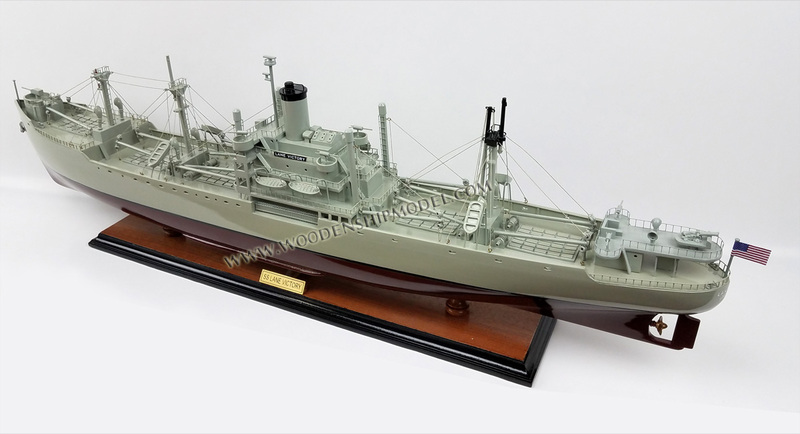 United States Merchant Mariners operated the ship. The United States Navy Armed Guard, who manned the ship's guns, worked as signalmen and radiomen. She made two Pacific cruises, beginning July 10, 1945 to Manus Island, and the second starting August 30, 1945 to Guam, Saipan and Hawaii. The trip to Guam was to bring food to the island. On the way Lane Victory sailed through a typhoon and was tossed around for 14 days. On February 27, 1946 her second voyage ended. With the end of World War II, she started shipping aid. In March 1946 she started delivering goods to Europe under the Marshall Plan. With the end of the aid plan, on May 11, 1948 Lane Victory was laid up at Suisun Bay, California. In 1950 Lane Victory was taken out of storage and by October 1950 was back in service. She was then deployed to evacuate Korean civilians and United Nations personnel at Wonsan, North Korea. During December 1950 she evacuated over 3,800 U.S. troops and 1,100 vehicles from Hungnam while under attack during the Battle of Chosin Reservoir. Lane Victory offloaded troops, vehicles and cargo as the cruiser USS Saint Paul and destroyers laid down a covering fire. After unloading she evacuated 7,010 men, women and children, taking them south to safety. When the ship arrived 7,011 passengers disembarked, as a baby had been born during the voyage. On October 10, 1953 she was laid up in Suisun Bay, California storage. 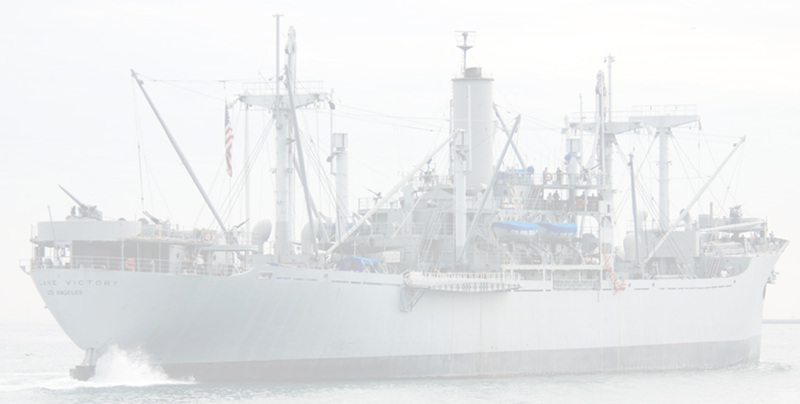 An annual Korean War tribute day is held aboard SS Lane Victory in honor of those saved. 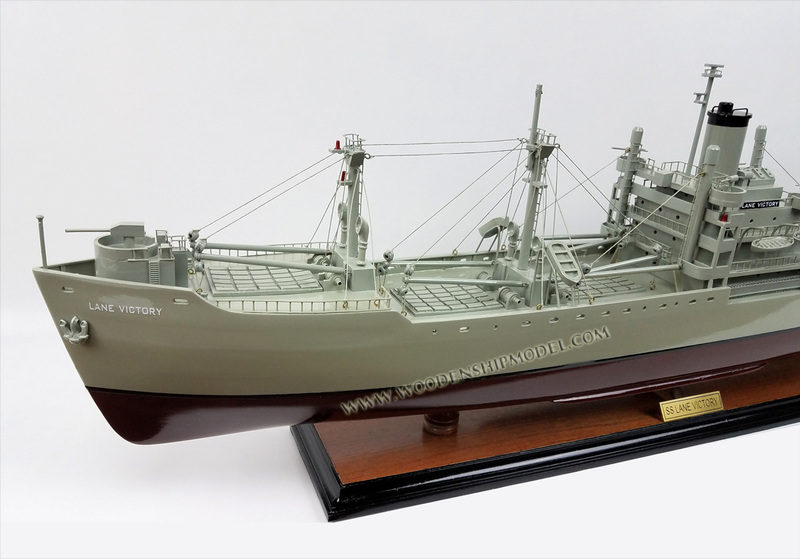 In 1966 the ship was restored to duty again for the Vietnam War. She also saw duty during the conflict moving ammunition and supplies to and from the war zone in Vietnam. On April 29, 1970 Lane Victory was laid up again at Suisun Bay for storage in the National Defense Reserve Fleet. During her three-war career, she traveled through the Far East Pacific, made a few transatlantic crossings and one circumnavigation of the globe. Because of the ship's excellent condition in storage at Suisun Bay, the Maritime Administration decided to set aside Lane Victory for preservation. President Ronald Reagan signed into law H.R. 2032 on October 18, 1988, which turned over the ship to the United States Merchant Marine Veterans of World War II. Joe Vernick, John Smith and a group of Merchant Marine veterans had worked for years for the ship to be released from the Reserve Fleet. 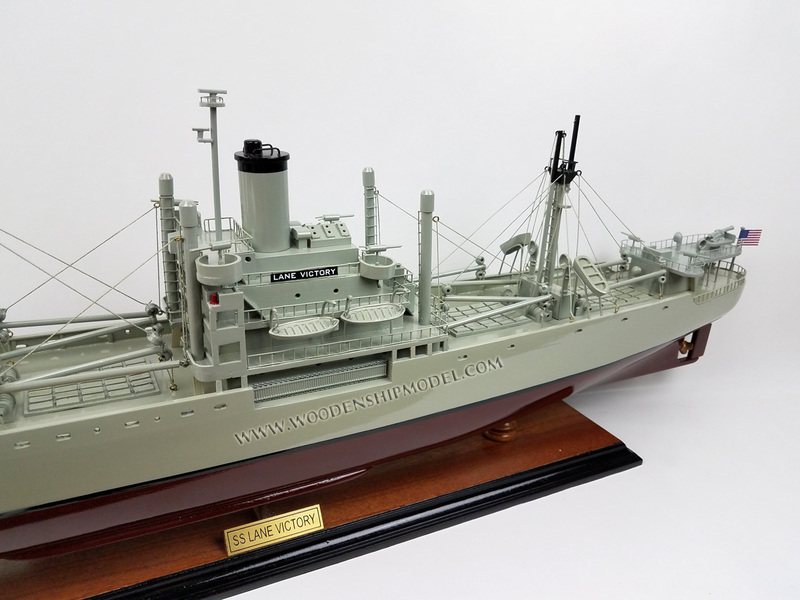 Volunteers from the United States Merchant Marine Veterans of World War II worked for three years to restore the ship to working condition after she had sat, slowly decaying, in Suisun Bay for nearly two decades. Many upgrades were performed in order to bring Lane Victory up to Coast Guard standards. She was drydocked in 1992, and her hull was proved sound. On September 10, 1992 her sea trials started and proved her seaworthy. In June 1994 Lane Victory participated in a mock Normandy invasion in the Santa Barbara Channel in celebration of the 50th anniversary of D-Day. In September 1994 she escorted the Liberty ship SS Jeremiah O'Brien from San Pedro to San Francisco in celebration of Jeremiah O'Brien's return from her voyage to Normandy. 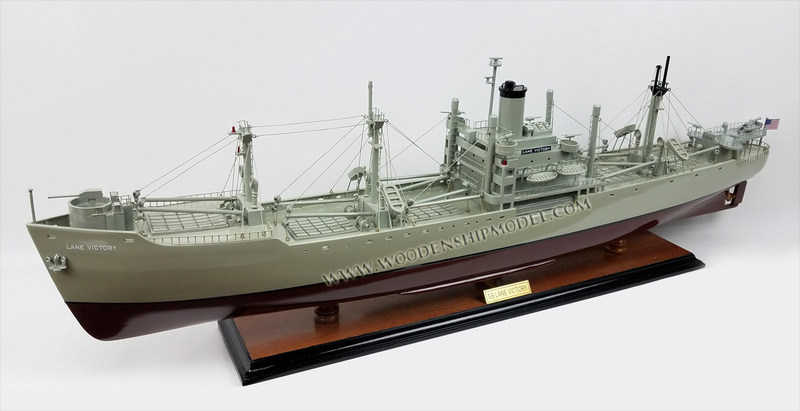 On October 9, 2007 SS Lane Victory received a Special Heritage Award from the World Ship Trust in San Diego. 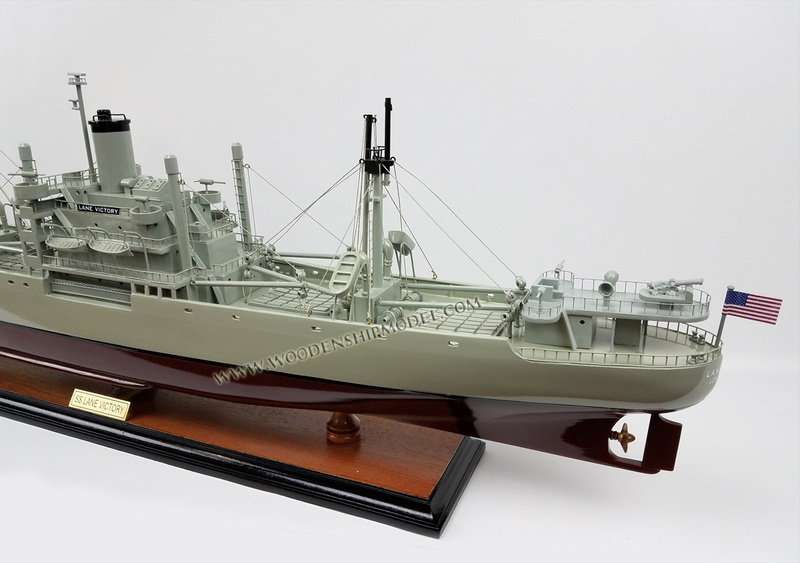 Of the 534 Victory-class cargo ships completed, only three remain working – SS Lane Victory at Los Angeles, SS American Victory at Tampa, Florida, and SS Red Oak Victory at Richmond, California. After her 1988 acquisition by the U.S. Merchant Marine Veterans of World War II, Lane Victory was towed to the Port of Los Angeles in San Pedro on June 12, 1989. She was turned into a museum and work ship again. In 1990 Lane Victory was designated a National Historic Landmark. A volunteer crew maintain and operate the ship and her two onboard museums. On September 13, 2000 Congress passed Resolution 327, recognizing SS Lane Victory as a representative of the service and sacrifices of the U.S. Merchant Marine to the nation during times of conflict: "Whereas vessels of the United States merchant marine fleet, such as the S.S. LANE VICTORY, provided critical logistical support to the Armed Forces by carrying equipment, supplies, and personnel necessary to maintain war efforts"
In February 2012 she moved from Berth 94 in Los Angeles Harbor by the Vincent Thomas Bridge to Berth 46 in Los Angeles Harbor at the end of Harbor Boulevard-Miner Street, south of the bridge. She was reopened to the public on February 17, 2012. She was moved, again, to Berth 49 in early 2013 as Berth 46 is being turned into a future super cruise ship dock.